Leonardo DaVinci was considered one of the most creative people in all of human history. He invented machines, tools and works of art which have been marveled for centuries. What if you could now apply breakthrough thinking like DaVinci to expand your creativity and artistic expression with calm relaxed focus. And get into that mood any time you choose. 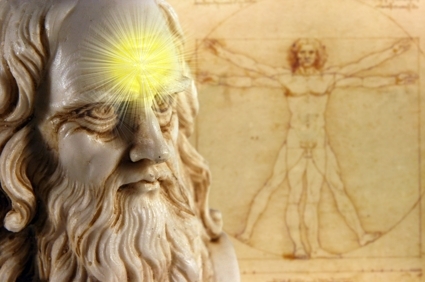 The advanced Core Force Energy mental peak performance techniques will show you how by revealing exact steps to fuse together all hemispheres of your brain to work in harmony with the synergy of your most empowering emotions and new ways of moving. One reason athletes lose confidence and choke in competition and ultimately lose or play far below their capabilities is ultimately because many of them lack superior mental focus. They end up focusing on the wrong things like their fears and over-intellectualizing things too much instead of zeroing in on the things that would most empower them. 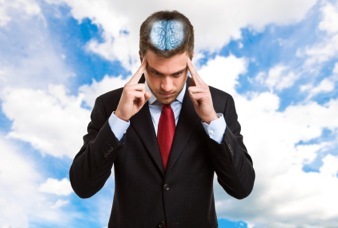 Are you tired of losing against your competitors because of your shaky mental focus? Are you falling short of your very best because your focus shifted during athletic performance? ​Are you tired of not being able to access your full physical muscular strength because you don’t know how to focus all your muscular strength and powers? ​Are you sick of not having stamina and full body energy because your haphazard mental focus constantly fluctuates between excellence and destroyed your greatest fears? ​Are you the victim of your self-confidence severely sabotaging you from being your best an ultimately winning because your unreliable mental focus mental is better at focusing on your fears and anxieties rather than the necessary steps it takes catapult you across the finish line with blazing colors? Great athletes know that mastering mental focus is what will ultimately unlock their greatest physical strength, speed, and ultimate peak performance as well as the other essential ingredients to consistently give them the winning edge. Olympians especially recognize that they must cultivate and maintain unshakable mental focus and powerful visualization skills when they will be in front of millions of viewers watching the performance which either wins them the gold or knocks them completely out of the competition altogether. They must have solid techniques at their immediate disposal to quickly eliminate their mental clutter, their fears, excessive anxiety, and the adrenaline rushes so they can steady themselves to perform at their very best in the make-or-break event they spent their entire lives training for! Olympic game medalists from non-medalists." Extensive research uncovered the facts that having firm competition plans and solidly adhering to one’s routines are the key ingredients that separates Olympic game medalists from non-medalists. It also found that winning medalists had very systematic pre-competition performance routines they never wavered from throughout their Olympic performances and training. Without great mental focus it’s impossible to achieve your highest physical potential no matter what sport or fitness exercise you do.. Without it, your anxiety will escalate and your self-confidence can easily spiral downward or be crushed completely. Having superior mental focus has demonstrated its winning-edge effectiveness in every sport and will dramatically and positively affect both your psychological states and your ultimate physical performance. superior mental focus you ask? It gives you the exact mental blueprints to focus on so you can easily concentrate on the process at hand. CoreForce Energy enables you to tap into your ultimate power while focusing your control with the trajectories of your energy and strength while allowing you to block out any debilitating and extraneous thoughts. CoreForce Energy reveals how to focus on the precise things keeping you in present moment with unshakable accuracy — whether its throwing a pitch, sinking the winning put, ripping the dive, hitting the three-pointer, running the winning pass pattern. It will help you crush the thoughts and debilitating emotions that do not directly empower you completely in the task (and movement) at hand. With CoreForce Energy you access your most effective and powerful you - Even in the worst pressure situations life can throw at you. Imagine your confidence skyrocketing when can quickly see what you hone in on activating your energy and power on a cellular level with laser-like focus to massively and dramatically escalate your strength, speed, and power. Imagine what it will be like to finally have mastery over your mental focus so it is unwavering and an indomitable. To achieve effective mental focus for your sport, you must focus on thoughts and actions essential to you performing at your highest levels. You must have solid techniques to keep your mind on track and in complete control before, during and after a competition. Imagine how you will feel when you play relaxed with supreme confidence in your ability to see the fastest game time movements in almost slow motion. This gives your mind greater reaction time and allows you to make the best decisions possible to win. With unique CoreForce Energy understands for instant stopping and refocusing on the what's important now, all those worries and what-ifs you used to think about will fade away. Stop constantly being on the short end of the stick. Never again use the excuse is that you were distracted internally, externally or both. Gain the unshakable mental focus CoreForce Energy installs within you. Imagine the winning edge and as you master your mental focus with what CoreForce Energy gives you, you'll possess the ability to sustain effective and consistent attention on the task at hand regardless of internal and external distractions. "Concentrate all your thoughts on the task at hand. Are you ready to finally harness the true powers of your mind with supreme mental focus? If the answer is yes, then what are you waiting for? Let CoreForce Energy be your ultimate guide to finally mastering the mental focus that all champions have in any sport or activity.